Freedom FM reported on Dec 11, 2016 an “unauthorized recording device” was found in a vehicle of Marcella Liburd. It also stated that her residence had been bugged as well. 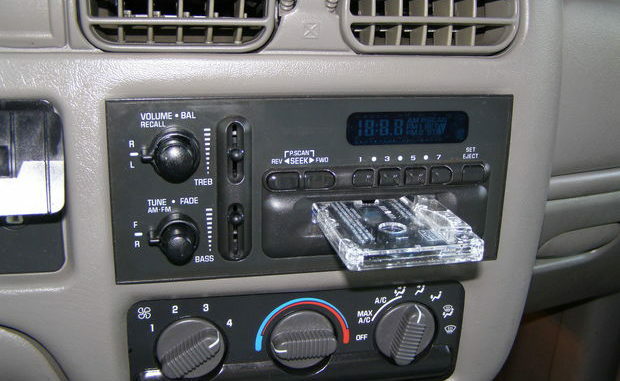 In Jan 2017 the police released an investigative report and determined that the “listening device” was a normal part of the vehicle’s stereo system. In the photo above the newly found second “listening device” can clearly be seen and is of advanced technical design incorporating a magnetic tape reading device with advanced capabilities including auto reverse and stereo, fast forward, reverse, and play. In addition this device was found to have other features only learned upon close analysis by Smethson. Smethson says the device was so advanced that it could measure in great detail variations in the electromagnetic spectrum and convert them into audible tones. The device was capable of doing this in both the FM and AM modes and supported a wide frequency range. A media cartridge which contained recorded speech set accompanied by musical instruments was discovered after Smethson pushed some buttons during his technical analysis. “I was examining the device and bumped a button. Something happened and it just popped out of the device.” he said. “This is a very advanced device. We had no idea that the technical prowess of Unity was so far advanced. The Labour Party really has a lot of catching up to do.” said Smethson.